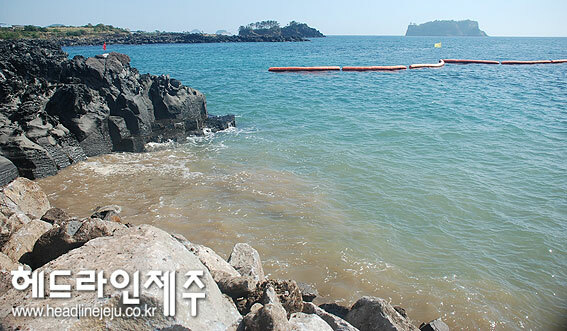 A clear violation of the EIA to the concern on soft coral, a Jeju environment group states. The Beomseom (Tiger Island) itself is the UNESCO Geology Park (Oct. 2010). The vicinity sea area of it is a UNESCO biosphere reserve (2002) and ROK government-designated natural memorial No. 421 (2000) for the soft coral habitats. Given the photos presented by the KFEM, one can see even in one’s naked eye that the muddy waters are occurring to the degree that the color of sea water is changed because of naval base construction. 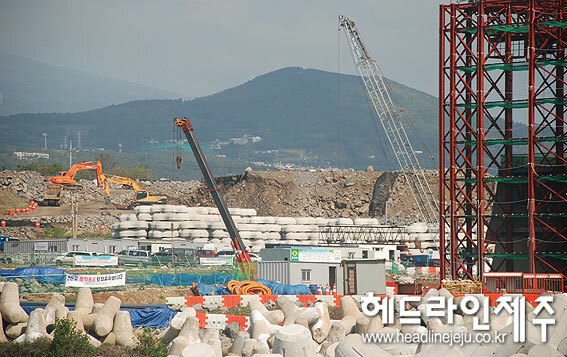 Photo: KFEM, Jeju/ Jeju naval base construction site. One can see even in one’s naked eye that the muddy waters are occurring to the degree that the color of sea water is changed because of naval base construction. 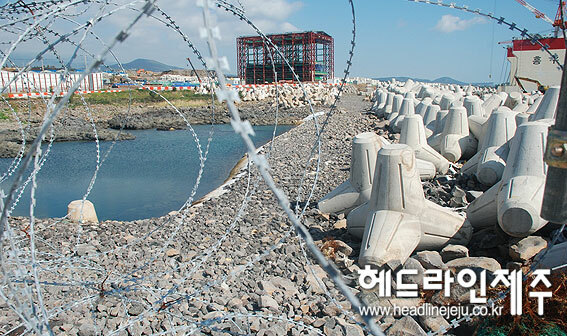 Photo: KFEM, Jeju/ Jeju naval base construction site. One can see the left part of silt protector installed on the sea is empty while muddy water from the construction site is flowing. 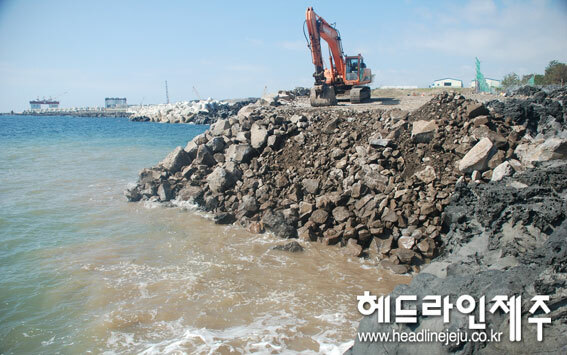 Photo: KFEM, Jeju/ Jeju naval base construction site/ The size of the sediment site has greatly been reduced from the past. Photo: KFEM, Jeju/ Jeju naval base construction site/ In the photo, earths and sands are exposed without dust protector cover.